With the threat of electromagnetic interference (EMI) looming over modern electronic devices, our electrical engineers and manufacturers are coming up with new and innovative ways to safeguard sensitive equipment and maintain efficient performance. One such technique involves the use of shielding fabrics and conductive tapes. But what are these components and how do they fit into your project? Find out below. The absorption and reflection of radio frequency (RF) signals impacts shielding effectiveness. While absorption depends upon the thickness of the shielding material, reflection occurs at the shield surface and thickness has no bearing on its effectiveness. Considering how reflection is the determining factor for high-frequency signal attenuation, you can achieve maximum reflection with our fabric shielding materials that consist of highly conductive metals like nickel, copper, or a combination of both, on the one hand, and light fabric on the other. All these materials are available in hot melt, non-adhesive or conductive adhesive backing. While our standard sheets have dimensions of 41 X 36 inches, longer sheets can be custom ordered. Leader Tech also offers full rolls that are 325 feet long, but the conductive adhesive versions reach a maximum length of 164 feet. Thanks to conductive adhesive or hot melt, our shielding fabrics can easily be laminated or bonded to complex geometrical shapes. Get the benefit of large surface coverage with minimal seams owing to the material width of 41 inches. Our product is perfect for sealing enclosure panels and frames, joints or seams. You can even use our shielding fabric products for architectural shielding or to finish the ceiling and walls of shielded rooms. The RFI-EMI/ESD shielding attenuation of copper-nickel type shielding fabrics ranges from 70 dB up to 10 GHz. Leader Tech’s fabric shielding tape is designed to offer outstanding shielding performance. It is manufactured with metalized fabric and high-quality adhesive for excellent adherence. These products are suitable for both EMI shieldingand grounding purposes. Our fabric shielding tapes are made of copper-nickel metalized fabric and feature a conductive acrylic adhesive backing with the release liner. Copper tape is also available. Our conductive fabric shielding tape can easily be applied to plastic housings for creating an EMI-shielded enclosure. The service temperature – the temperature at which this material can operate – varies between -40 degrees Fahrenheit to 212 degrees Fahrenheit, while the adhesion is 50 ounce per inch. The most significant advantage of this product is its resistance to abrasion and corrosion. Leader Tech’s fabric shielding tapes can be used to shield printed circuit boards (PCB), irregular surface components, cables, room joints, and enclosures. In several applications, they provide a suitable substitute for custom die-cut shielding sections or gaskets. The conductive elastomers are mostly used in shielding the electronic enclosures to prevent the electromagnetic interference. The entire EMI shielding system is made up with a conductive gasket that is placed between a metal housing and a lid. This set up allows for providing sufficient electrical conductivity across the gasket. • The effectiveness of shielding can extend up to 120dB at 10GHz. When there’s the need to create an EMI shielding along with environmental sealing, the electrically conductive elastomers prove to be the ideal choice. The highly conductive as well as resilient characteristics of the gasketing elements allows it to be used in a broad spectrum of fields – wirelessly transmitting device, commercial electronics, and military devices. • Since the manufacturing process takes place in the USA, it automatically allows for short lead-times, prototyping, and ITAR compliance. • Leader Tech’s TechSIL Conductive Elastomers are made up of a wide variety of polymers and types of fillers that are available in various colors and hardnesses. Consult factory for options. • Leader Tech offers elastomers in all possible profiles and shapes, and with different mounting methods. This variety helps meet clients’ specific requirements. • Only Leader Tech can provide the best low compression forces that are highly achievable at a competitive market prices. The power of GaN MMIC technology is strongest when applied to RF power amplifier MMICs. 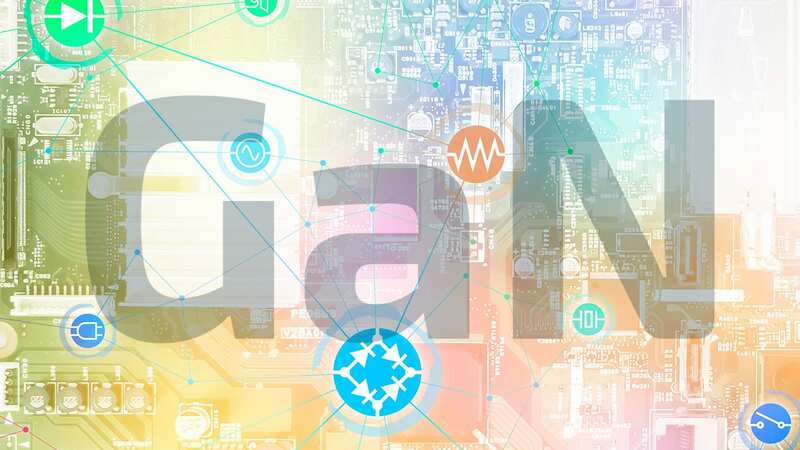 Here we quickly review some of our power amplifier MMIC successes with GaN. The CMD262 is a 5 W GaN MMIC power amplifier die ready for Ka-band systems where high power and high linearity are a must. This MMIC amplifier delivers greater than 26 dB gain with a corresponding output 1 dB compression point of +37.5 dBm and a saturated output power of +38.5 dBm at 30% power added efficiency. It is a 50-ohm matched design eliminating the need for external DC blocks and RF port matching. The CMD216 is a 5.6 W GaN MMIC power amplifier ideally suited for Ku band communications where high power and high linearity are once again crucial. This GaN power amplifier MMIC chip delivers greater than 16 dB of gain with a corresponding output 1 dB compression point of +37 dBm and a saturated output power of +38 dBm at 32% power added efficiency. The CMD216 amp is a 50-ohm matched design also offers full passivation. Historically, military forces all over the world used microwave absorbers to cut down high-frequency energy reflections. Over the course of time, the use of these materials has diversified so that now they are also used in many commercial applications including wireless LAN devices, electronic devices, wireless antenna systems, notebook computers, cellular phone base stations, and network switches and servers. If you are planning to use RF absorbers in your application, the following are the five types you must know about. Surface wave absorbers are the most heavily magnetically loaded absorber products that are custom designed to absorb microwave energy in many high-performance appliances without compromising on the features of elastomeric binders. They are designed to provide the highest loss of all absorbers. Most of the surface wave absorbers are used in metal surfaces for attenuating surface wave energy from 1 GHz up to 20 GHz. Resonant or tuned frequency absorbers offer great loss of reflection at a distinct frequency. They typically offer 20dB of attenuation and narrowband absorption from 1 GHz up to 40 GHz. These absorbers offer high-loss at sub-microwave frequencies and are made with magnetic particles with specific shapes. They show high permeability from 1 MHz up to 3 MHz. Cavity Resonance absorbers are designed to show high-loss inside a microwave chamber. They attenuate resonant frequencies, cavity oscillations, and harmonics. These absorbers attenuate high and normal angles of incidence at frequencies ranging from 1 GHz to 20 GHz. How are Fingerstock Gaskets Beneficial in EMI Shielding? 5G is here.. Are you ready? RF/Microwave and Wireless offers state-of-the-art components and related technologies for Southern California with a team of motivated high-tech professionals. Founded in 1995, ACETEC is a Manufacturers' Representative firm serving a wide range of Manufacturers.